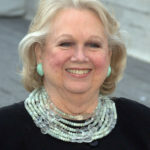 Barbara Cook was an American singer and actress who first came to prominence in the 1950’s as the lead in the original Broadway musicals Plain and Fancy (1955), Candide (1956) and The Music Man (1957) among others, winning a Tony Award for the last. She continued performing mostly in theater until the mid-1970’s, when she began a second career as a cabaret and concert singer. She also made numerous recordings. During her years as Broadway’s leading ingenue Cook was lauded for her excellent lyric soprano voice. She was particularly admired for her vocal agility, wide range, warm sound, and emotive interpretations. "Even within the last three or four years, I have a greater ability to communicate, I think. I have more courage to show the stuff… And it does take courage."